The career in the field of customer services has a lot of scopes. This is considered as ideal entry level jobs for fresh graduates and students. Do you know that 60% of the fresh graduates get a job of customer care representative? This is the quintessential position that helps them to make an adequate amount of money. Call centers are considered as best to provide employment opportunities to the fresh graduates. Your profile picture and headline are two of the most important and most viewed elements of your profile. Consider editing your headline to give a better understanding of what you are seeking. Instead of ‘Unemployed and Looking for New and Exciting Opportunities’, you could update your headline to say ‘Experienced Customer Service Representative Seeking Position’. In your education section, you have the business fraternity AKO listed with a question mark. This information may be confusing to profile visitors. Consider updating this section with the full name of the organization or removing it. You might be also interested in our technical recruiter Linkedin profile review. LinkedIn is the platform best for communicating with professionals and for hunting desired jobs as well. The more contacts or connect matters to make the profile attractive. Don’t make any kind of grammatical mistakes while describing anything in paragraphs. The spelling errors are not acceptable at all. If your profile is full of such errors, then be prepared to be ignored. The photo play vital role to incline any reader towards your profile. Always try to update the recent photo. You are required to write about two past positions. At least 50 connections should be added to your support representative profile. Try to write all the details of education in the section of unemployed. Try to write at least 3 minimum skills. However, it is better to add minimum 10 skills. There are many buzzwords that need to be improved. Everyone is familiar that you are organizational, expert, analytical, effective, creative and responsible. 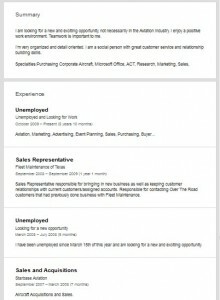 Try to write the profile by considering it your resume. The job of customer services representative is designed for highly responsible individuals. This position is for handling calls, noting down the complaints and replying to the queries. When you create the LinkedIn profile, make sure that title of your page is engaging. You need to write the content in the first person. It should sound more professional yet in conversational style. Whatever you read in the first person actually appeal the employers. 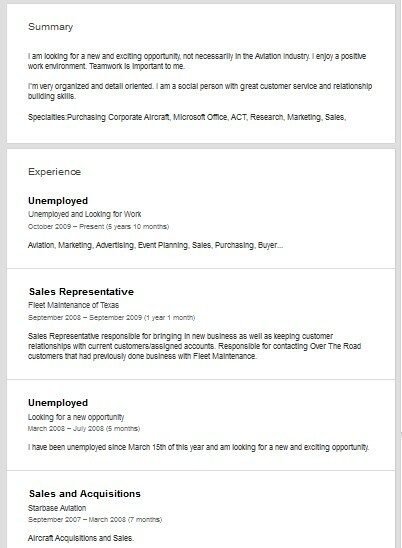 Give a quick review to whole profile and point out the mistakes by making a list on the paper. Change the name that should only sound professional. The professional summary must be based on a well-written text. Make sure that you write all the related and important information. 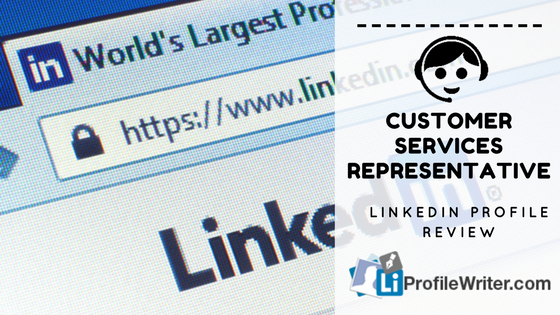 The sales purchasing, customer services, responding to queries and handling phone calls are some duties that should be added to your LinkedIn profile. The communication skills are important to have in all the candidates. Therefore, never feel any reluctance in mentioning this skill. The relationship building skills are also important to be a candidate. Don’t try to copy the content from anyone’s LinkedIn profile. Try to write everything in your own words. Rectify the grammatical errors and spelling mistakes, in the end, to make the content worth reading.